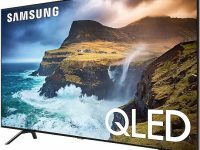 When you are looking for the best 75-Inch 4K UHD TV in 2019, I’m quite sure that you are considering Samsung QN75Q90R (QN75Q90RAFXZA) and Samsung QN75Q80R (QN75Q80RAFXZA) as your choice. Both of Samsung QN75Q90R and QN75Q80R are introduced as..
TCL 49S325 is the model that comes as the successor model of TCL 49S305. As the successor model of TCL 49S325, we can find that there are a lot of similarities between TCL 49S325 and TCL 49S305. 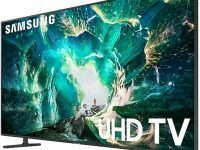 Is there..
Samsung UN65RU8000 vs UN65RU7100 : Why Samsung UN65RU8000 is Better Than UN65RU7100? 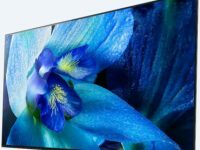 We should mention Samsung UN65RU8000 (UN65RU8000FXZA) and UN65RU7100 (UN65RU7100FXZA) as two choices that we should consider if we talk about 65-Inch 4K UHD TV in 2019. 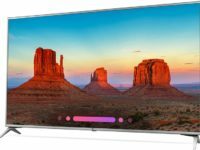 Samsung UN65RU8000 and UN65RU7100 come as non-QLED 65-Inch 4K UHD TV from Samsung’s..
Sony XBR65X950G (XBR-65X950G) can be called as the newer model of Sony XBR65X900F (XBR-65X900F). 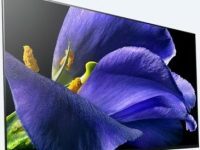 Sony XBR65X950G comes as part of Sony X950G that comes as part of Sony’s 2019 TV lineup, while Sony XBR65X900F was released in 2018 as..
Samsung QN65Q80R vs QN65Q70R : What Can You Expect from The Higher Model? 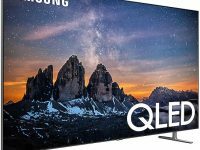 Both of Samsung QN65Q80R (QN65Q80RAFXZA) and QN65Q70R (QN65Q70RAFXZA) are 65-Inch QLED TV that introduced as part of Samsung’s 2019 TV lineup. 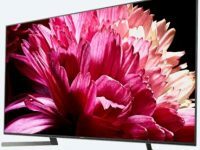 As two 65-Inch QLED TV models, we can find that there are a number of similarities between those..
Sony XBR65A8G vs XBR65A8F : Why Should You Choose The New Sony XBR65A8G? Sony XBR65A8G is 65-Inch 4K OLED TV that introduced as part of Sony’s 2019 TV lineup. It comes as the model that intended as the successor model of Sony XBR65A8F. 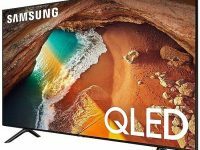 As the successor model, we can find that there..
Talking about large screen TV in 2019, We need to mention Samsung QN75Q70R (QN75Q70RAFXZA) and Samsung QN75Q60R (QN75Q60RAFXZA) as two models that we should consider for 75-Inch 4K UHD TV. Samsung QN75Q70R is the model that positioned higher than Samsung..
Sony XBR55A9G and XBR55A8G are two 55-Inch 4K OLED TV introduced by Sony in their 2019 TV lineup. From their name, you can guess that Sony XBR55A9G is the model that positioned higher than Sony XBR55A8G. 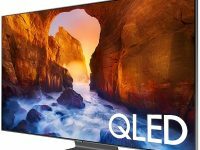 Which of them..
Two of 55-Inch 4K UHD TVs that we should consider in 2019 are Samsung QN55Q60R (QN55Q60RAFXZA) and Samsung UN55RU8000 (UN55RU8000FXZA) that introduced as part of their 2019 lineup. 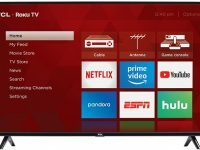 Samsung QN55Q60R comes as the basic 55-Inch QLED TV model, while Samsung..
We can find LG 70UK6570PUB and LG 70UK6570AUB as two options that we can consider if we are looking for affordable 70-Inch 4K UHD TV and prefer LG as our brand. If we look at their model number, we can..